The American media image of Indian American culture focuses on curries, yoga gurus and Bollywood dancers, but there are many more aspects to discover. 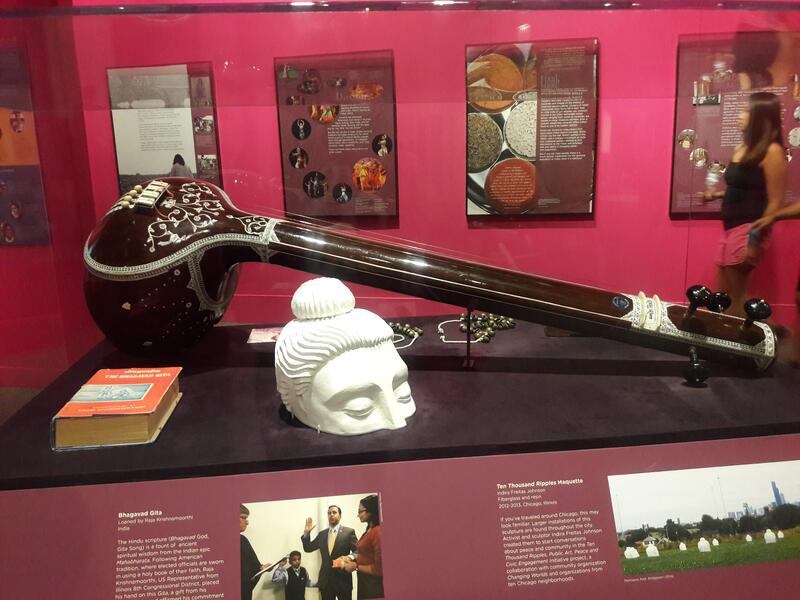 The Field Museum presents a fascinating glimpse with its exhibit, "Beyond Bollywood: Indian Americans Shape the Nation". Tracing the paths that many Indian immigrants took to the U.S., the exhibition displays the daily lives, achievements and varied cultural contributions of Indian Americans. Visitors will discover that 1 out of 100 Americans have roots in India and that they represent more diverse topics than temples and turbans. Chicago&apos;s own India community on Devon Avenue was established in the 1970s, when relatives sponsored new arrivals. They transformed the once vacant storefronts on Devon into the Midwest&apos;s largest Indian business district. Other interesting points highlighted in the exhibit include that 1 out of 20 practicing U.S. physicians are Indian; Hotmail and fiber optics were invented by Indians; and immigrants from Gujarat in Western India, dominate niche industries by owning Dunkin Donuts, convenience stores and motels. Interactive displays playing various Indian music genres and a video showcasing Chicago&apos;s Indian American community make "Beyond Bollywood" great for all ages. "Beyond Bollywood: Indian Americans Shape The Nation" runs through January 7, 2018 at the Field Museum of Natural History (1400 S. Lake Shore Drive). The museum is open daily, 9–5 p.m. Adult admission is $22, $15 for children.